“Make a To Do List.” Check. 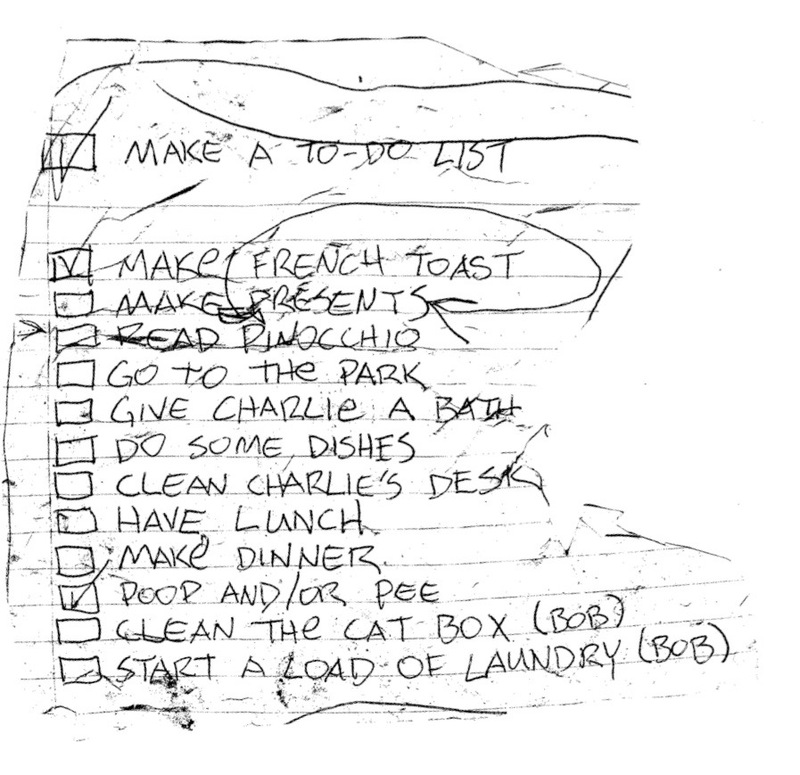 So many questions arise from the life of this to-do list maker….Who is Bob? Why does he get the worst jobs? Why put certain bodily functions on the list and not others? Is Pinocchio required reading every day? And so many more…. FOUND on the sidewalk.